Rhema University is pleased to have joined forces with USCIA and president Chaplain Mondaca to provide chaplaincy education for ere member. Rhema University is offering all members of U.S.C.I.A. a scholarship towards our Chaplaincy Program and also towards their continual education in any degree program. Luis Mondaca was Born in Chile where he grew up as a child before he relocated to The United States. He currently resides in Irving Texas has lived there for the last 35 years. He’s been married to his wonderful wife Balbina for 36 years, together they have two children that have made them grandparents. In 1982 Mr. Mondaca received Jesus as Lord and Savior and started his journey in ministry. His love and passion to help others is what made him decide to become a chaplain and start training and providing the tools necessary to help others in crisis. His aspirations to assist others took him further than he thought and today he is the president of the USA Chaplain Association, Helping others all over the United States and overseas, He has been the president for six years making a difference and impact in the lives of others, which allowed him to be invited in August 2018 to represent U.S.C.I.A. at the White House in Washington D.C. 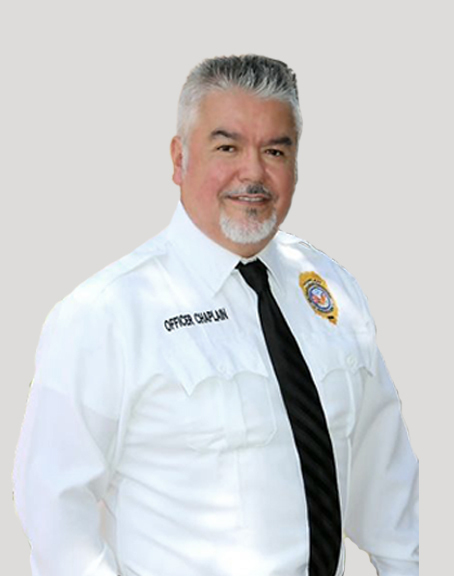 He has also received citizen police award in Irving Texas, for his accomplishment and impact in the community. Mr. Mondaca is currently finishing his bachelor in counseling at Rhema University. Besides, his ministry position he currently works as a Bank Loan Officer. Mr. Mondaca’s favorite verse. (Luke) 10:27“Love the Lord God with all your heart, with all your soul, with all your strength, and with all your mind and love your neighbor as yourself”.